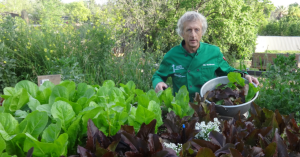 Farmer Chef John was out picking some of our amazing lettuce crop early this morning. That will be served this week at the DVC Norseman restaurant. If you’d like some, head there for lunch or drop by the farm.